Senior Analyst Jeffrey Kennedy is the editor of our Elliott Wave Junctures trader education service and is one of our most popular instructors. Today, Jeffrey shares a video lesson about trading one of his favorite Elliott wave patterns, the diagonal. There are two major types of Elliott wave structures — motive and corrective. Within these two categories, motive waves include impulse waves and ending diagonals. Zigzags, flats and triangles are all corrective wave patterns. Today, we are going to examine an ending diagonal in Union Pacific (UNP). An ending diagonal is an easily discernible wave pattern because it looks like a rising (or falling) wedge. Specifically, it is a five-wave overlapping pattern wherein each wave subdivides into three smaller waves. Also, trendlines connecting the extremes of waves one and three, and two and four, often converge. Ending diagonals can form only in the fifth wave position of an impulse wave or the wave C position of an A-B-C formation. Price behavior following an ending diagonal is quite impressive because it tends to be swift, retracing the entire length of the pattern. The guideline covering the resolution of an ending diagonal tells us that it will be more than fully retraced in one-third to one-half the time it takes the pattern to form, just like it did in this case. 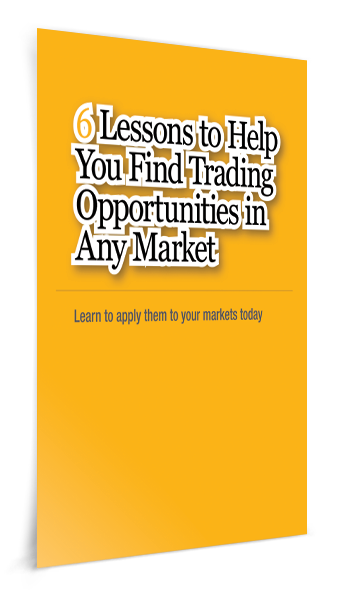 If you are ready for more lessons on how to become a more successful technical trader, get Jeffrey Kennedy’s free report, 6 Lessons to Help You Spot Trading Opportunities in Any Market. Jeffrey has taught thousands how to improve their trading through his online courses, his international speaking engagements, and in his trader education service Elliott Wave Junctures. This article was syndicated by Elliott Wave International and was originally published under the headline How to Find Trading Opportunities in ANY Market. EWI is the world’s largest market forecasting firm. Its staff of full-time analysts led by Chartered Market Technician Robert Prechter provides 24-hour-a-day market analysis to institutional and private investors around the world.